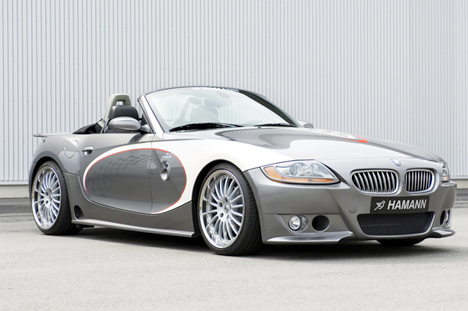 Hamann have created this new kit for the BMW Z4 roadster. On the power side of things, the HM 3.3 kit for the Z4 3.0i gives the roadster 286 bhp, enough to help it to 60 mph in just 5 seconds. A suspension upgrade is on offer as well as a larger (15 inch) disc and four piston caliper kit helping to slow things down. 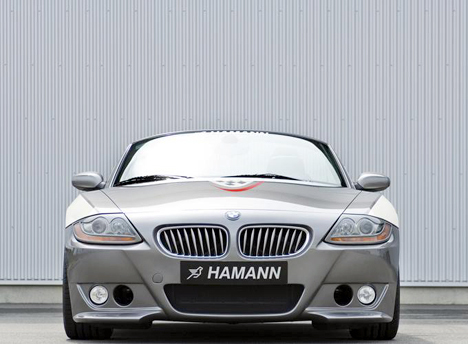 Hamann also offer a range of light alloy wheels in either 17, 18 or 19 inch diameter as well some unusual bodystyling options.